No national parks. No Smithsonian. (And no Panda Cam.) No new applications for social security, no tax audits, no way to check that the employee you want to hire is a citizen. The government officially shut down at midnight Oct. 1. Hundreds of thousands of federal workers were furloughed, and some of the D.C.-based services tourists and locals alike rely on will be closed. Here’s a list of what you likely can and can’t do during a government shutdown. We’ll be adding to the list; if you know of something we’ve left off,email us and we’ll research it. Get help from 911: All emergency services will continue as usual, including law enforcement and emergency and disaster assistance. Get mail: Employees of the United States Postal Service are exempt from furloughs. Get your Social Security benefits: Payments will still be issued, although some could be delayed due to a reduction in workforce. Receive disability benefits: See above. Receive SNAP benefits: The Supplemental Nutrition Assistance Program will continue to operate. Get a passport, probably: The Bureau of Consular Affairs is funded by fees rather than appropriated funds, so it will continue to operate, a spokesperson tells NBC Washington. Home State Department passport offices, however, are located in federal buildings that may have shut down, so you should check to see if your preferred passport office is open before visiting. Get your trash picked up, even if you live in D.C.: Even if Mayor Vincent Gray’s attempt to declare all city workers essential is rejected, the district has about two weeks’ worth of money on hand already authorized by Congress, which might be enough to wait out a fairly brief shutdown. Be protected by the U.S. military and law enforcement agencies: Personnel considered essential to public health and safety are exempt from furloughs. Be paid and receive benefits if you’re in the U.S. military: Congress has approved the Pay Our Military Act, a measure to continue to pay troops on time, and President Barack Obama signed it into law late Monday. Receive healthcare benefits if you’re a furloughed federal worker: Furloughed federal workers can continue to use their health benefits during the shutdown, even if their premium payments are normally deducted from their paychecks. They will have to make up the premium payments after the shutdown ends. See more here (PDF) and scroll to section H.
Visit a Veterans Affairs (VA) hospital: VA hospitals will remain open. Veterans will also be able to get mental health counseling and get prescriptions filled at VA health clinics. Get veterans’ disability payments and pension benefits: Claims workers will continue to process these, but the Board of Veterans Appeals is closed during the shutdown, so veterans looking to appeal a denial will have to wait until the shutdown ends. Ride Amtrak: While Amtrak receives federal subsidies, it’s organized as a corporation and collects enough revenue in ticket fees to outlast a brief shutdown. Take Metrorail and Metrobus: Metro assured riders Monday that the system will stay open in the event of a shutdown, although it could shorten some trains (for example, from eight cars to six) if ridership is down because fewer people are going to work. Travel by air: Federal air traffic controllers and most TSA agents will continue showing up to work, although you may find some longer lines at security checkpoints. Apply for a new patent: The U.S Patent Office is funded for the next four weeks, which should be enough to outlast any government shutdown. Safely eat meat: Meat inspectors with the U.S. Department of Agriculture (USDA) will continue to report to work because they’re essential for public safety. Learn about the unemployment rate: The September jobs report will be released Friday. Get an unemployment check: Checks will still be sent out, although some payments may be delayed due to a reduction in workforce. Pay taxes: Workers will continue to have taxes deducted from their paychecks, and all tax payments will continue to be processed. Note that millions of taxpayers have requested 6-month extensions on their 2012 tax filings, and that the deadline for that is Oct. 15. That deadline is not expected to change. 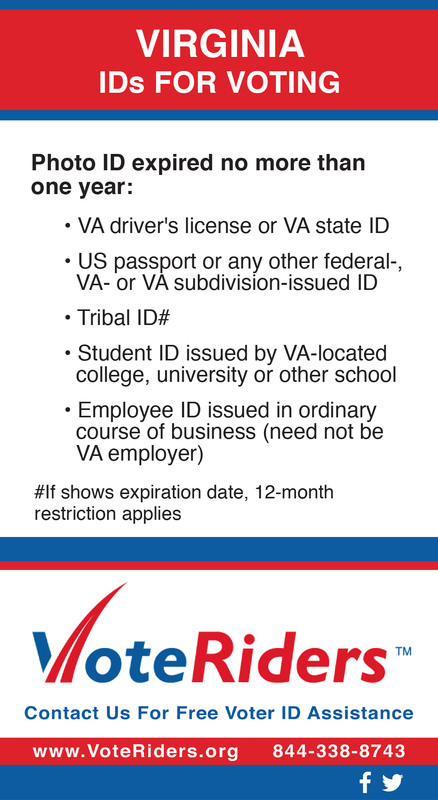 Go to the DMV: You can still visit the Department of Motor Vehicles in your location because they are run by the state (or in D.C.’s case, the city). Get weather warnings and watches: All National Weather Service offices are open and will continue to provide forecasts and severe weather alerts. Visit non-government-run museums: The National Building Musem, the Crime Museum, the Phillips Collection and other fee-based museums remain open for business. Go to state and county parks: Since they’re funded by state and local budgets, they will remain open. File a copyright online: The U.S. Copyright Office is closed, but the Electronic Copyright Office is still open for users to register their work. Have an Immigration Application or Petition Processed: The offices of U.S. Citizen and Immigration Services are open during the shutdown. There may be some delays, however, and the Department of Labor will stop processing permanent labor certifications. See the full breakdown here. Go to school: Sorry kids, schools are open. Apply for new Medicare or Social Security benefits: While current recipients continue to receive payments, a reduction in staff means no new applications can be processed. Visit the Capitol: While the Capitol remains open for congressional matters, it is closed to visitors. Get a new small business loan: Existing loans are honored, but new applications will not be accepted. Go to the Smithsonian museums, the National Gallery of Art or the National Zoo: About 90 percent of the Smithsonian’s 6,400 workers are furloughed; all museums and the zoo are closed. The animals will still get fed, but visitors can’t be around to see that. Visit a Civil War Battlefield: Like national parks, historic battlefields are closed. Watch the Zoo’s Panda Cam: We know — in a government shutdown, there are more important things for many people to worry about. But D.C.’s first panda cub in years was a cause for celebration around the region, and huge numbers of fans have flocked to the Panda Cam since the cub’s birth in August. Visit the monuments: D.C.’s monuments are under control of the National Park Service, which means tourists can’t visit sites such as the Lincoln, World War II or Franklin Delano Roosevelt memorials. Check the legal work status of an employee: The E-Verify system allows employers across the country to check on immigration status, but it’s a federal website, which means it is shut down. Have a Permanent Labor Certification Processed: While the offices of U.S. Citizen and Immigration Services are open, the Department of Labor has said it will stop processing permanent labor certifications during the shutdown. A call to the Department of Labor was, understandably, unanswered. See the full breakdown here. Continue to be audited: The IRS has suspended audit activities. (They will begin again as soon as the government shutdown is over.) Live telephone customer service assistance is not available, but most automated toll-free telephone applications remain operational. IRS walk-in taxpayer assistance centers are closed. Go rowing, if you’re part of a crew team that uses a boathouse on federal land: Many local high school teams use boathouses on the Anacostia and Potomac rivers, but access is cut off during the shutdown. We have to face lots of trouble during the time of Government shutdown.